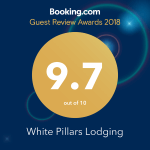 White Pillars Lodging provides luxury bed and breakfast rooms and suites, as well as long-term efficiency rentals in Canton, NY. 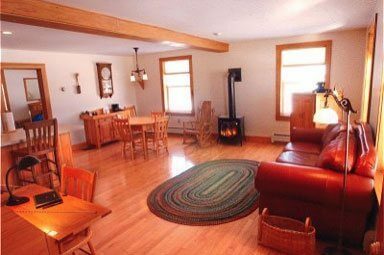 Also available are vacation rentals on nearby Trout Lake and the Raquette Flow in the Adirondack region. To John and Donna in rememberance of a wonderful night spent at White Pillars. Homestead, Craftsman Suites, and Amish Country Inn all sit on 165 acres of meadows and pastures only 10 minutes from Canton’s downtown, St. Lawrence University, and SUNY Canton; 20 minutes from Potsdam. The hosts Donna and John Clark, both alumni of St. Lawrence, offer visitors a wealth of information as well as a peaceful refuge and luxurious accommodations. 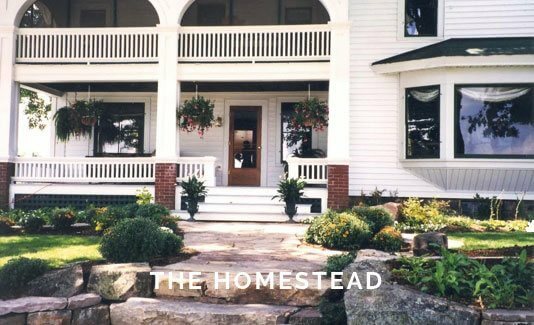 The Homestead and Craftsman buildings have rooms and luxury suites. All have private baths, at least 2 beds, high-speed wireless internet, cable TVs, microwaves, refrigerators and coffee makers. Some have Jacuzzis, fireplaces, and private sleeping porches. See pictures of our Rooms and Suites. Rates range from $115 – $165/night, double occupancy + tax. Breakfast may be added at $10/person/night. 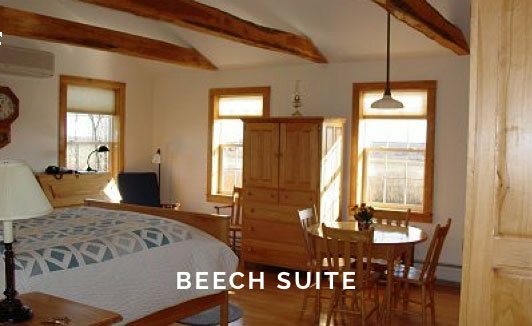 The Amish Country Inn is a building designed for the long-term visitor, offering furnished apartments for stays from 1 month to 1 year. Read more about our Efficiencies here. White Pillars Lodging also offers beautiful Waterfront home rentals, varying in size, sleeping 6 – 20 guests. Four homes on Trout Lake are 25 minutes from Canton, one home on the Raquette Flow is 25 minutes from Canton and 25 minutes from Potsdam. 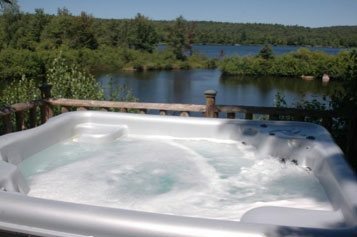 Each home has its own outdoor hot-tub, motor boat, kayaks, paddle boards, and fireplace. 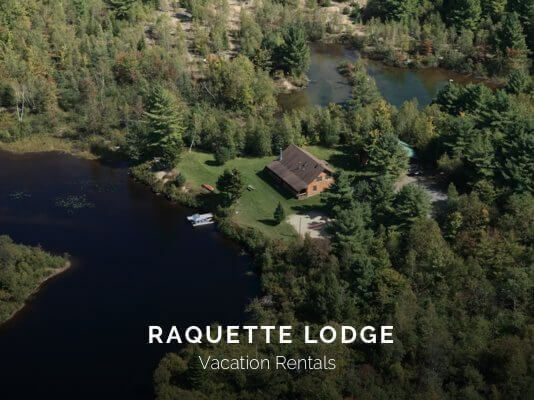 Raquette Lodge is open year-round. Rates begin at $295/night. View our Waterfront Home Rentals here.